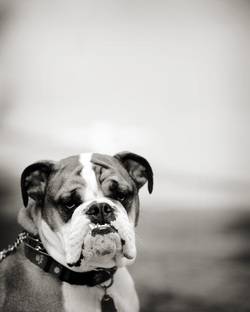 Pet Portraits can be on location or in our studio. Session is $125 and includes 1 8x10 and 2 5x7s of your choice. Additional prints can be purchased at our normal portrait prices. We are very active in animal rescue and are available for fundraisers for shelters and animal rescue groups. Please look to the bottom of the page for recent fundraiser pictures. Link to hi res files. Please enjoy these images. To download the hi res image, click on picture in the drop box gallery (not in the collage here) and click on ... then download. If you right click and save the picture in the gallery you will only get low res. M!Xed Mutt Photoshoot at M!x Design Store on the Green in Guilford, CT on June 29, 2013 to benefit the Dan Cosgrove Animal Shelter. Over $300 raised! To access your photos, please go to the following link. Click on your Mutt to see the full image. Hit the download button to download your hi res digital image. (Please note if you right click and save you will only download a low res thumbnail version). Mix one of our original Cottage Frames with an 8x10 watercolor giclee for only $50. 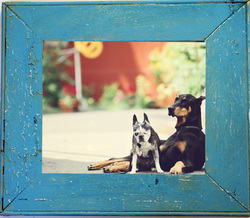 Cottage frames are made to order using vintage wood and can be any color or size. To learn more on our Cottage Frames, please click here.